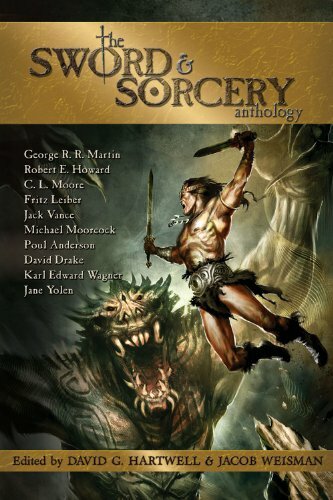 As a big fan of Robert Howards Conan and fantasy works with the common themes and features of Sword & Sorcery, I still never got around to read anything by Fritz Leiber. 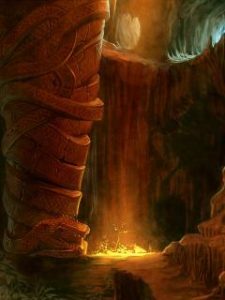 He was the man who introduced the term Sword & Sorcery for the already existing type of fantasy literature, that with the massive impact of Tolkiens Lord of the Rings needed to identify itself as its own distinctive niche. (In hindsight, Leibers attempt to define a fantasy subgenre might have been the only one that was actually successful.) 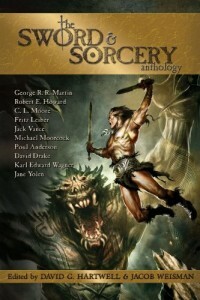 He introduced the term of Sword & Sorcery referring to the type of his own stories of Fafhrd and the Gray Mouser, but also considered Robert Howards Conan and Kull as prime examples of the genre he wanted to define. So there really was no way I could push this out any further in my own explorations of the genre, and finally got around to get myself the (chronologically) first two collections of the series about these two famous heroes. Swords and Deviltry and Swords Against Death. It turned out to be a highly sobering experience.